I want to add a strap detail to the large round mold in the center of this piece. The first thing I do is to flatten out the area that I want to add the strap. Since the piece is round, the plastic strip wont' adhere as well. Note: This would have been easier to flatten out the piece before glueing it on, but I didn't think about it until after the fact. Here are some tools you can use to flatten out the round mold. The first tool on the left is as chisel blade in a hobby knife handle. The tool on the right is a 3mm chisel by WAVE. Either tool will get the job done, but you have to take your time and make sure it's evenly flat. So once you have a flat surface to work with, start adding the plastic strip. You can add strip in any size you'd like for different looks. In this example I'm using 3mm x .5mm strip. Once the glue has cured cut or file the plastic strip at the same angle as the bevel of the round mold. Start to add the plastic strip for the bevel on the round mold. It doesn't have to be cut precisely at this point since we'll be trimming it down in the next step. Trim the excess plastic on both sides of the plastic strip to match the angles of the bevel. Finally add the actual strap. I like to cut chamfers in the strap to give it a better shape, but it can be any style you'd like. You can even leave it squared off, if that's what you're going for. Trim the last bit of excess plastic strip, and cut or sand the angle flush with the bevel. At this point it should look like one solid piece. 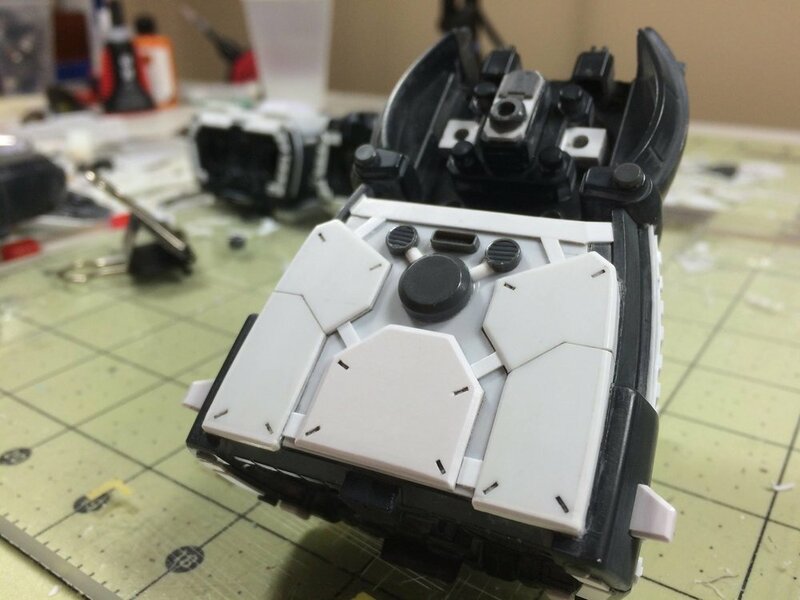 You may have to do some additional sanding or add putty to fill any small gaps. For this piece I finished it off with a chiseled detail in the center and I scribed a line around to piece to give the illusion that it was protruding out of the round mold, rather than sitting on top of it. Once the piece is painted, this illusion will become more apparent. Here are the two finished pieces. 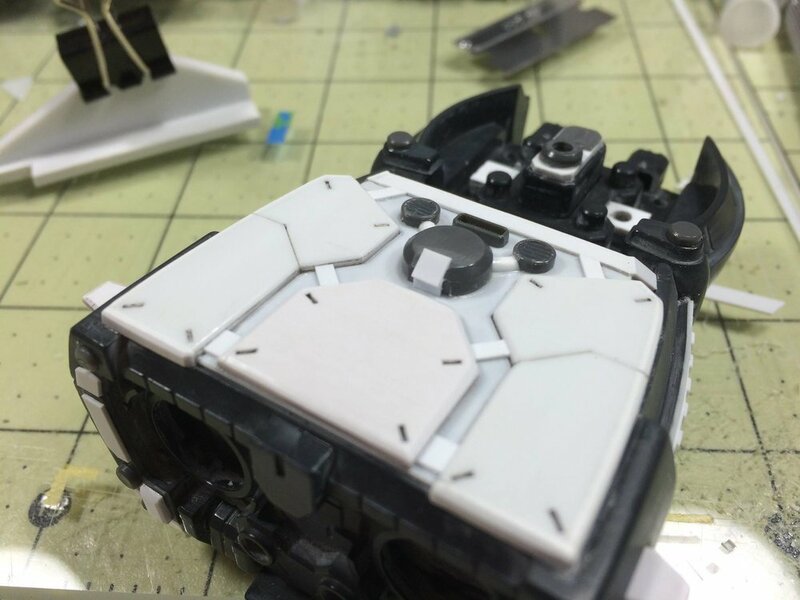 Strapping details can add a lot of technical feel to your piece and it's a simple detail technique that shouldn't be overlooked.